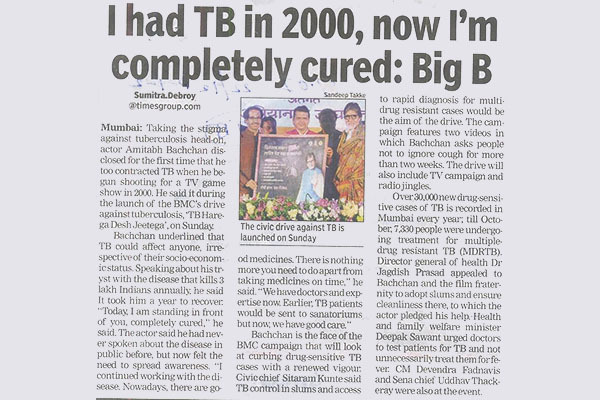 During this event, Mr. Bachchan revealed that he too suffered from TB a decade ago during the shooting of Kaun Banega Crorepati, a widely watch television show. 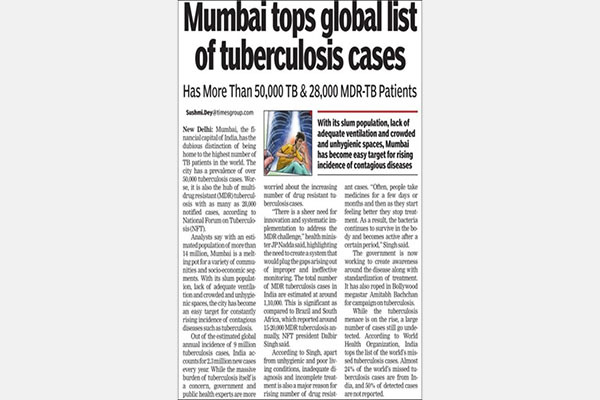 His revelation generated extensive media interest and helped communicate to the people that TB can happen to anyone but everyone can defeat this disease. Over 110 media persons attended the event, representing 77 national and regional outlets from the print, electronic and online media. 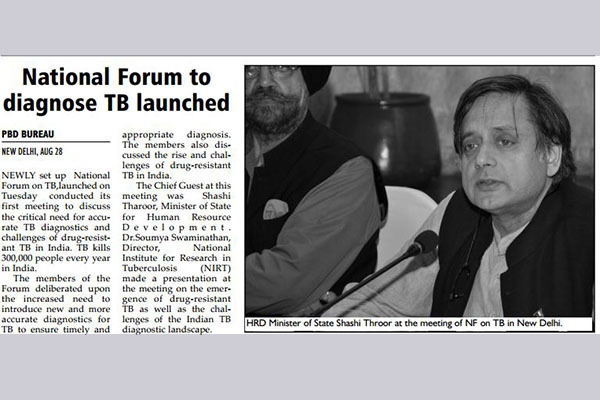 The event has been featured across prominent newspapers such as Hindustan Times, The Indian Express, Times of India, Daily News and Analysis (DNA) among others in the English media, with comprehensive coverage in the Hindi and Marathi media as well. 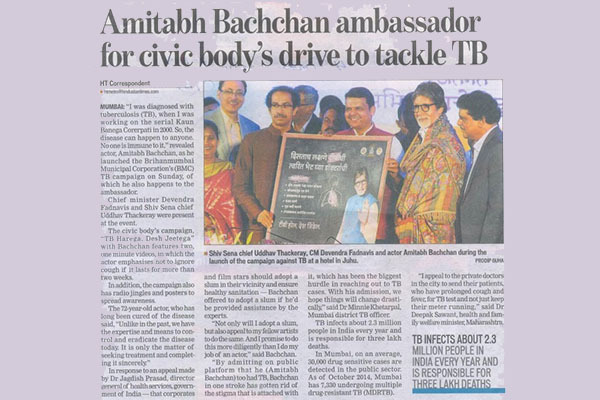 The social media hashtag #TbHaregaDeshJeetega has received was also shared with the media to promote the campaign online. Promoted extensively through Facebook, Youtube and Twitter, the campaign messaging.